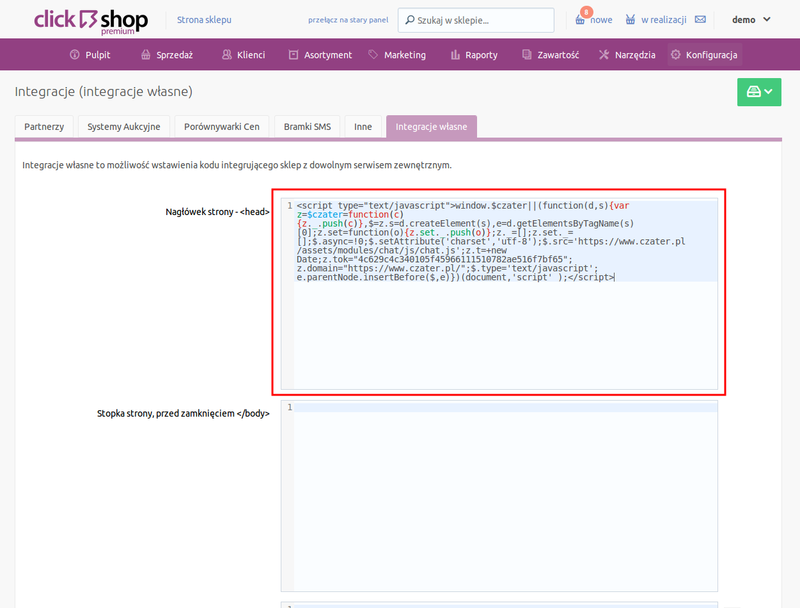 How to install livechat in a Click shop? In store settings, go to the Configuration tab and select Integration,and next Own Integrations. Then, in the Page Header section - paste code of chat.